The Fordism is named after Henry Ford . It refers to several social theories . Ford ( 1863-1947 ) was an American engineer . He founded the Ford Motor Company at Detroit in 1903 . He was a pioneer of standardization, mass production and the assembly line . 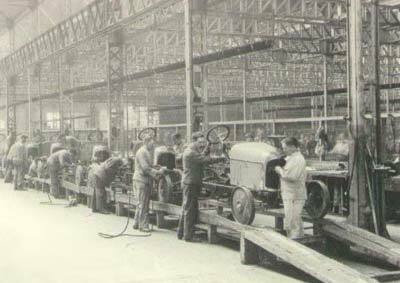 By adopting these techniques he was able to produce reliable and low cost cars and other motor vehicles . He made his first “gasoline buggy” in 1893 and produced farm factors in 1915 .